I always find it hard to make non-themed cakes for dudes. There’s only a few colors you’re “allowed” to use and you can’t just throw flowers on it to make it look pretty. 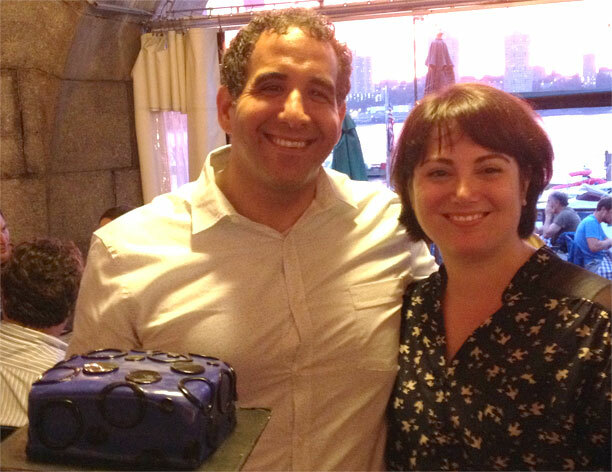 So for my friend Stephen’s birthday I challenged myself to make a dude friendly cake. 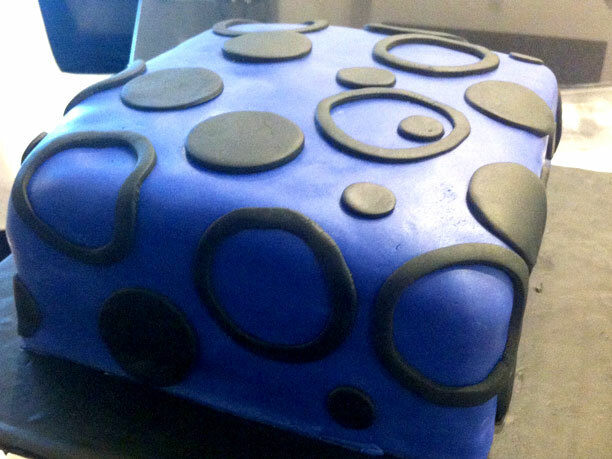 I decided to create this dot pattern in fondant for a great guy’s cake. The cake is vanilla butter cake with fruit filling. Again sorry about the photos. We lost a card with a bunch of pictures on it.